The Builders, Baby Boomers, Generation X, and Millennials—all make up workforces in every type of industry all over the world. The generational gaps are numerous and distinctly different between each age group, and Millennials have gotten a reputation for being particularly unique and often challenging. In this updated and expanded Second Edition of the popular guidebook Managing the Millennials, you'll see how Millennial traits are the same around the globe. In fact, Millennials are more alike than any other generation before them due in large part to rapid advances in technology that let us share more experiences together. These same rapid advances are also redefining the fundamental ways businesses operate, and this revised edition includes the international perspective today's valuable leadership needs to attract and retain these high-performing workers with very different values and expectations. 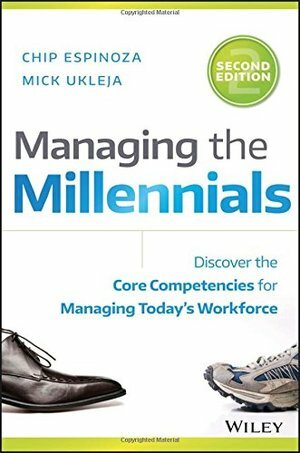 With fresh research and new real-world examples, the powerhouse authorial team reexamines the differences between how different generations work today in businesses around the world, with insightful exploration into what makes the Millennial generation so different from the ones that came before. The authors reveal nine specific points of tension commonly arising from clashing value systems among generations and prescribe nine proven solutions to resolve conflict and build communication, nurture collaborative teams, and create long-lasting relationships among colleagues of every age. A wealth of informative tables and convenient end-of-chapter summaries make this an invaluable everyday reference to support you: Making the most informed decisions with up-to-date, research-based guidance on getting the most from twenty-something employees Executing solutions to the most common obstacles to younger workers engaging and learning from the people who manage them Enhancing your skills as a job coach with practical tips and hands-on tools for coaching Millennials, including concrete action steps for overcoming roadblocks Complete with case studies of real managers and employees interacting in every area of business, enlightening analysis of performance and behavioral patterns across generations, and easy-to-use techniques you can use right away to improve your organization, Managing the Millennials, Second Edition gives you everything you need to inspire your entire workforce to new levels of productivity.